The latest stunning addition to InterContinental Westlake Hanoi, perfect for intimate dinners of up to 20 persons for both business and pleasure. Be immersed in an experience that features arguably some of the world's best wines and we match our cuisine to your occasion. Tailor made menus introduced personally by our Executive Chef and wines chosen by our sommelier team will ensure an experience like no other. 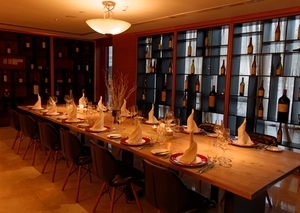 The most exclusive culinary experience in Hanoi. Since 1844, Penfolds has played a crucial role in Australia’s journey in the evolution of winemaking. 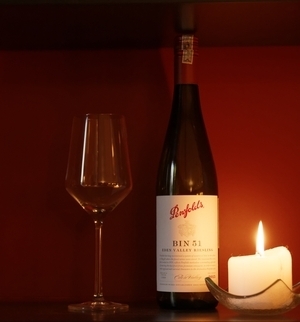 Penfolds has figured prominently and influentially in the identity of Australian wines. Without the influence of Penfolds, the modern Australian wine industry would be very different, as Penfolds has brought to the whole world, its great reputation of wines of high quality. Founded in 1844, Penfolds has played a key role in the evolution of the Australian wine industry and throughout the world. The winery was established with an innovative spirit and continues the constant and endless task of producing better wines. This was how in 1951 it created ‘Grange’ and has been produced continuously since then, to be today the most emblematic wine of Australia and a world-class collectable item.